Commissioning of at least two recently delivered vessels have been delayed due to the partial government shutdown. 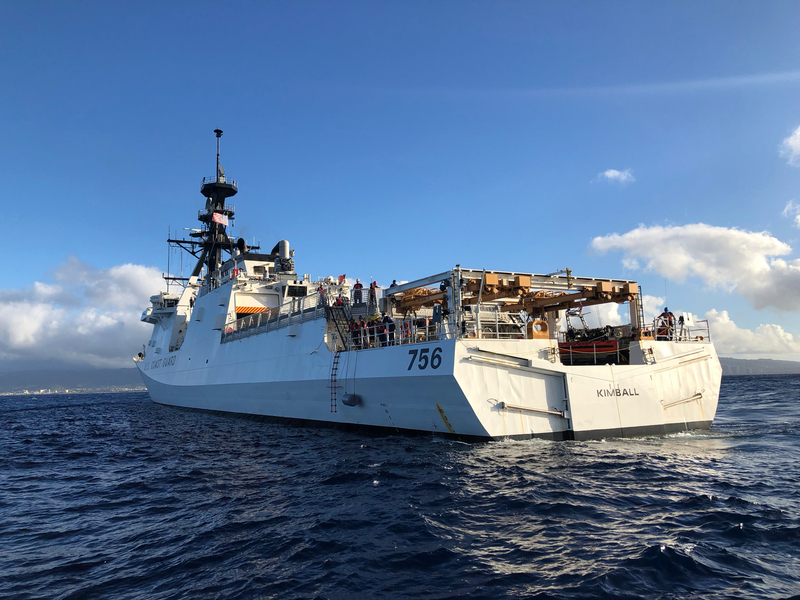 The seventh Bertholf class NSC USCGC Kimball was to have been commissioned in Hawaii in January. Not sure when the rescheduled commissioning is. 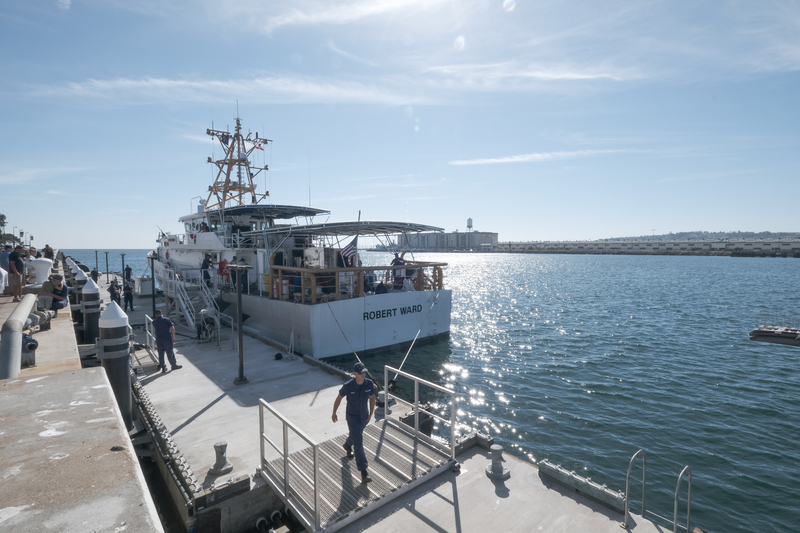 USCGC Robert Ward (WPC-1130) was to have been commissioned Feb. 2, but it has been postponed until March 2 (I plan to go).. Problem of course is that there may be another shutdown before these rescheduled commissionings. Pardon me a moment while I rant. Forcing people to work without pay is called slavery. It was supposed to have been abolished in the US more than 150 years ago. When a worker is hired, military or civilian, they and the employer enter into a contract. When the government fails to pay its workers, it has broken that contract. Private enterprise could not get away with this. It is not that the money was not available. The Treasury continued to receive taxes. It is not like the government was not going to ultimately pay people who actually did no useful work during this period, so the American Tax payer has had to pay people not to work. All that is required is to change the law to permit people already hired to be continued to be paid until their employment is terminated. This is not political. This is good government. This is doing what is right by your employees. Congress on both sides should want this. Republicans should want to deny some future Democrat President the opportunity to hold Congress and the American people hostage to a presidential agenda, just as surely as Democrats want it now. There is also another unintended fall out of this. Frequently Federal workers have taken jobs with the government at lower pay than they might have gotten on the outside because government jobs were considered secure and reliable. If the government is now seen as an unreliable employer then prospective employees will need to be paid more to convince them to take the chance of working for an unreliable employer. Your point of funding salaries and benefits for federal workers is right on. If anyone’s salaries should be in jeopardy due to a shut-down, it should be the politicians and their staff’s. My wife, after retiring as head of a Federal lab, has been a volunteer officer in an international standards setting organization. Much of its work is in food safety. Her participation has cost us some money, but we both think it is important. After a year as the international organization president, she has been treasurer for a multi-state section. This organization receives no government support, but many government agencies are involved. Her section had planned a conference for February. This required reservation of a conference site months in advance, but because Federal workers could not travel, they had to reschedule the conference. In consequence the organization lost most of a several thousand dollar deposit. Just one of probably thousands of stories of lost opportunities and cost imposed on others that will go unrecognized. Updating the pay regs would require more foresight than usual from Congress. Rant justified. Also allow non essential workers to ‘volunteer’ if they are in science. My wife is rather sure than 2 years of work are down the drain because she could go in as ‘non essential’ and run the back crossing of her crops. The same certainly could have happened to animal models as well. Quality statistics to produce good data cannot be fudged. If a necropsy was supposed to have happened on day 356 you just can’t say well a month won’t hurt. And you are right we live the back of nowhere because my Wife believes in public service and took a job with the USDA ARS and was proud all her work was public and free. Reconsidering now and thinking the corporate suit scientist job is better or at least the check and location. Second you on the rant.. What happened was a disgrace; pox on both houses as they have no excuses and no justification. Say it again Chuck! This was unconscionable, plain and simple. A law should immediately be passed banning Federal Government shutdowns. Further, the mess with DHS and the Coast Guard needs to be resolved immediately as well. At a minimum, make the pay to the Coast Guard, if not the rest of DHS, separate legislatively, and tie it in with DOD so that this can never happen again. Finally, the Coast Guard, already recognized as the fifth military branch, should be moved to the DOD in terms of budgetary authorizations including shipbuilding, aircraft procurement, and payroll. Good thought, but the main difficulty with that is the LE aspect of what we do, being merged into DOD would prohibit this and other Missions such as AMIO. I do not favor putting us under the Navy Secretary. I think we would loose out to the “big dogs” in the Department. Making us an independent agency under DOD looks a bit more promising, but currently my favored solution is keep the Coast Guard in the DHS but for Congress to consider its funding separately because so many of its functions are non-DHS. Incidentally. When the Coast Guard was under the Navy Department during WWII, it did not prevent the Coast Guard from doing law enforcement. Right, no legal constraint on the Coast Guard, but likely to be conflicting priorities. Ultimately I am afraid that if the Coast Guard was incorporated into the Navy Department we would end up as not much more than a Master at Arms Rating.